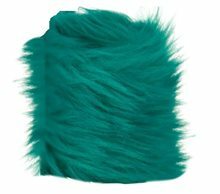 Turquoise Critter Faux Fur Bracelet.Includes: One Turquoise Critter Faux Fur Bracelet.Available Size: One Size Fits Most.Material: 100% Polyester.Care Instructions: Hand Wash Only.Mix the past with the present with these fun, furry Turquoise Critter Faux Fur Bracelets! Be sure to buy a second bracelet to complete the set! These snap-on bracelets are great for raves, parties or just for fun! Also make great gifts! Get yours today!Made in China. 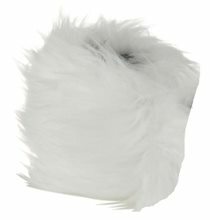 White Critter Faux Fur Bracelet.Includes: One White Critter Faux Fur Bracelet..Available Size: One Size Fits Most.Material: 100% Polyester.Care Instructions: Hand Wash Only.Mix the past with the present with these fun, furry White Critter Faux Fur Bracelets! Be sure to buy a second bracelet to complete the set! These sanp-on bracelets are great for raves, parties or just for fun! Also make great gifts! Get yours today! Made in China. Cheshire Catarina Hat and Tail.Includes: Cheshire Catarina Hat and Tail.Available Size: One Size Fits Most. 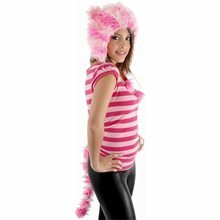 *Shirt and Pants Not Included.Become the Cheshire Cat from Alice In Wonderland instantly with this Cheshire Catarina Hat and Tail set! Great for Halloween or just for fun! 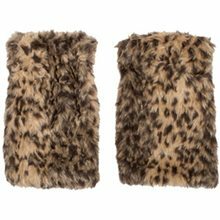 Animal Furry Boot Covers.Includes: One Pair of Animal Furry Boot Covers.Available Size: One Size Fits Most.Material: Acrylic / Polyester.Complete your outfit with these Animal Furry Boot Covers! 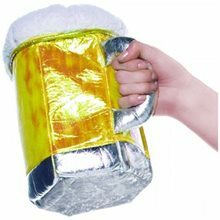 Great for parties, raves and just for fun! Also make great gifts! Lime Green Techno Boot Covers.Includes: One Pair of Lime Green Techno Boot Covers.Available Size: One Size Fits Most Adults. *Stockings Not Included. Sold Separately.Complete your rave look with these awesome Lime Green Techno Boot Covers! 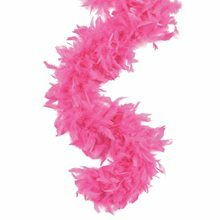 72" Candy Pink Feather Boa; Includes: One Feather Boa. 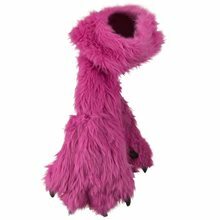 Dimensions: Approximately 72"-76" Long. 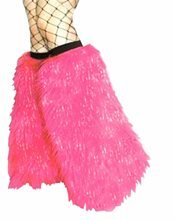 Hot Pink Feather Boa.Includes: One Hot Pink Feather Boa.Dimensions: Approximately 72" Long. *Costume and Accessories Not Included.